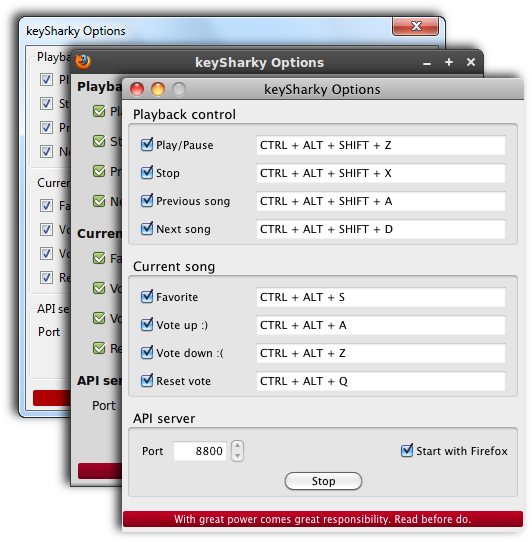 keySharky - Add missing keyboard functionality to Grooveshark! Keyboard shortcut tool (and more) for Grooveshark music player, who works on Firefox, Google Chrome, Prism, Safari, and Opera. Take a look in here and if it doesn't help, submit your issue. Where can I find keySharky Options for Safari?